Waterford will release an automatic software update on March 27, 2019. See what’s new in the list below. If you have any questions, our Support Team is always happy to help! 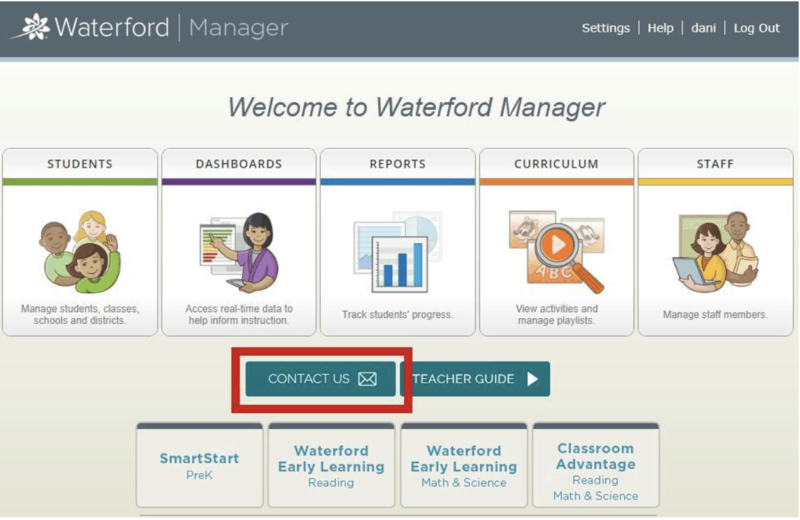 We added a Contact Us button into Waterford Manager to make it easier for educators to give us feedback. If you have any questions or comments about Waterford programs, send our team a message through the Contact Us form and we’ll answer as soon as possible! We uploaded two class newsletter templates to Teacher Materials area of the Curriculum tab in Waterford Manager, available in English or Spanish. You can send these newsletters to families to help them understand Waterford’s Five Instructional Strands, and to introduce some ways that families can support their child’s learning at home. We have added a breadcrumb navigation trail underneath student pictures in the Waterford Early Learning app. Instead of having to relaunch the app if they click on the wrong student, users can now access previous pages using the breadcrumb trail. Waterford will release an automatic software update on January 30, 2019. See what’s new in the list below. If you have any questions, our Support Team is always happy to help! 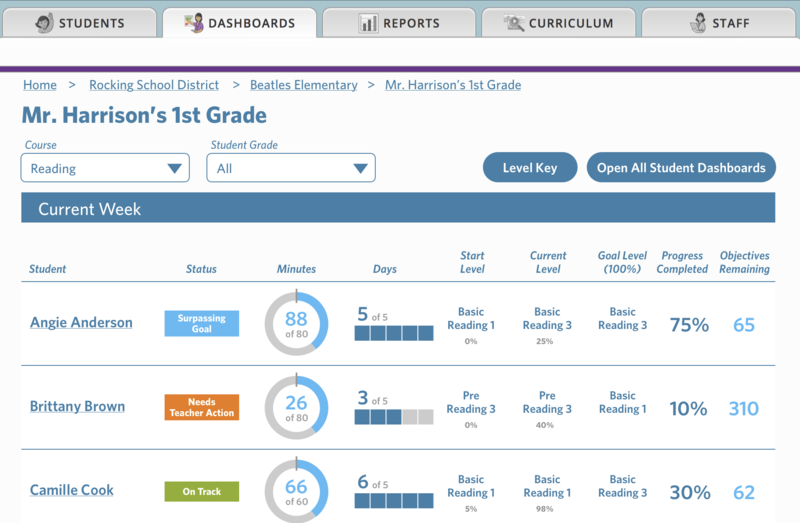 We added a new feature to the Completion Chart in the student-level dashboard: On Track Zone. Because a student’s activity can vary from day to day, the On Track Zone displays the range where a student will still be considered On Track for their set goal. As with all features in the Completion Chart, the On Track Zone will be updated once every two weeks. 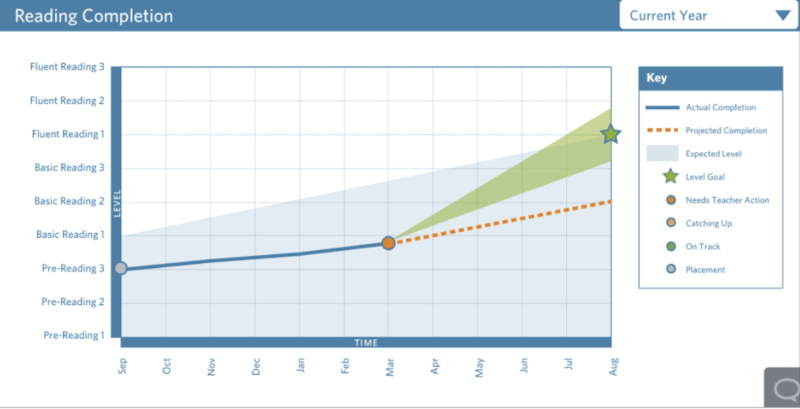 If a student falls behind the trajectory for their Level Goal, their Projected Completion line will turn red and appear below the On Track Zone. The Projection Line will turn yellow if the teacher adjusts the student’s goal, even if they are now within the On Track Zone, until the chart is next updated. We updated the titles for all pre-built playlists available in Classroom Advantage. The new titles reflect their connection to the Objective Details report to help educators find the right playlists for their students’ needs. 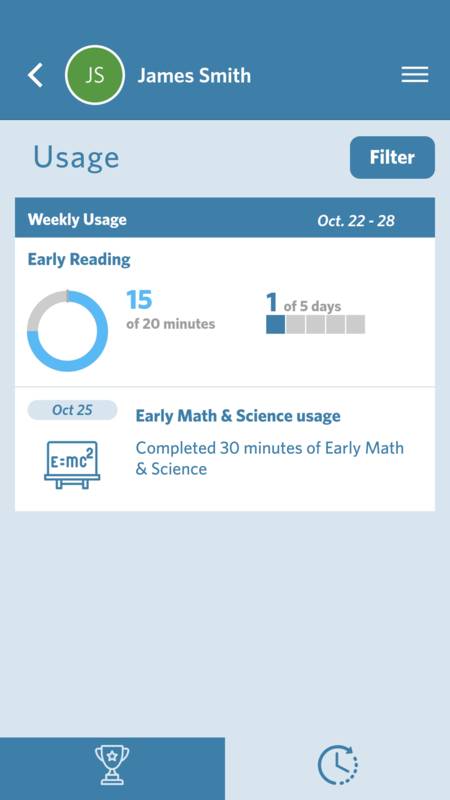 We published an update to the Waterford Early Learning Android app. Its purpose is to make the app compatible with the latest release of Google’s latest operating system (Android 8.1.0). You can download the update through the Google Play Store to correct any potential compatibility issues. We revised our Level Goal recommendations for Waterford Early Learning, SmartStart, and Waterford UPSTART. Our new recommendations, which you can view in the chart below, reflect our mission to help students succeed from the start by learning essential academic concepts. We will automatically update all Waterford software with these new level recommendations as the default during summer 2019. 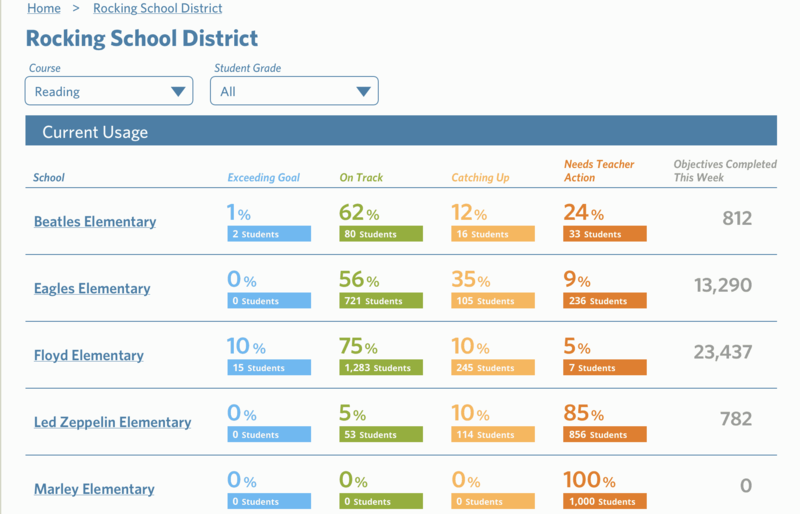 For now, you may update your school or district’s level goals as desired. We revamped the classroom-level WACS Report to improve its readability. The new report will be color-coded based on whether a student is at, above, or below their expected grade score. Additionally, the Score Key will now list the associated grade level represented by the numerical score. The new report will also list the District Average, School Average, and Class Average for comparison to your student’s individual scores, as well as the Expected Score for specific skills based on grade level. Waterford will release an automatic software update on October 25, 2017. See what’s in this release in the list below. If you have any questions, our Support Team is always happy to help! We made technical changes to improve the speed with which dashboards load. We also made updates to the design of the dashboards to better help you identify how you’re progressing toward your usage goals. All results are based on the usage goals set by the district. You can find step-by-step instructions for setting your custom usage goals here. When there is less than 5% of average usage on a day at the district level, it is assumed this was not an instructional day. It does not count against you and the total goal days for the reporting period is reduced by one. On all levels of the dashboards, fidelity and usage percentages are based on the number of goal days in the report period. The “Engagement by Grade” circles at the bottom of the main dashboard also now show all three color segments, following the same rules as the horizontal graphs above. We updated some of the strand names in the SmartStart sequence to better align students’ computer work with the offline materials. The activities are the same; only the strand names have changed. 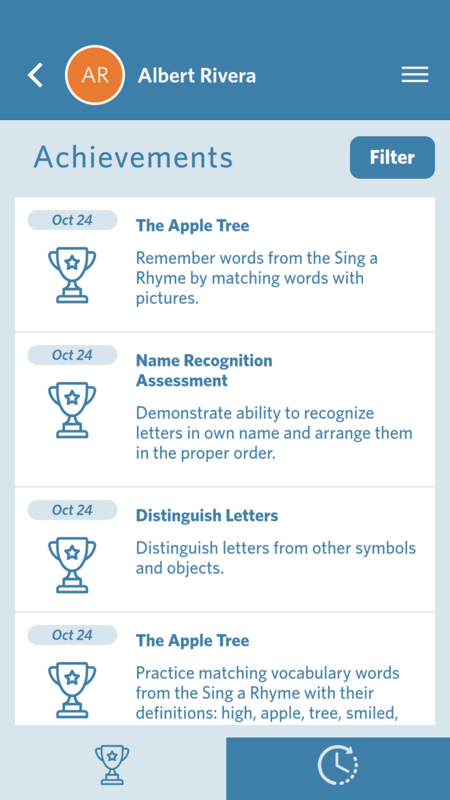 You can now search by these new strand names in Classroom Advantage. In an upcoming release, SmartStart dashboards and reports will be updated to reflect these new strands. The strands listed below with an astersisk will be assessed offline by the teacher and will not be in the reports or dashboards update. We renamed some of the demographic categories in the student profile to better match the schools’ various student information systems. This information is not required in Waterford; it is up to your district if you want to use it. If this is something your district uses, we will automatically map the current setting to its corresponding new name. Please review the settings for each student to ensure that the correct ethnicity is set. Curriculum Search Tab—After the last release some teachers were unable to search for specific activities in the “Curriculum” tab. This is now fixed, and all teachers should be able to search for content in the tab. 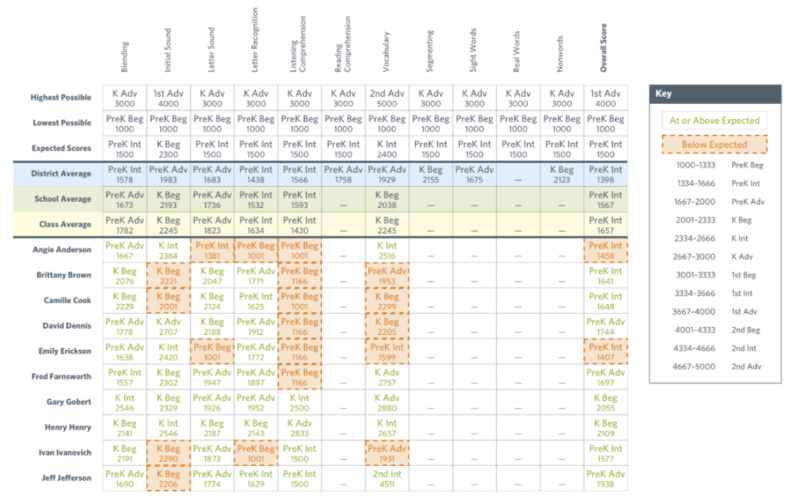 SmartStart Reporting—The SmartStart reports and dashboards show the previous strand names. They will be updated to reflect the new strand names—which were included in this release—as soon as possible. Waterford released an automatic software update on August 2, 2017. See what’s in this release in the list below. If you have any questions, our Support Team is always happy to help! External Reader: The external reader allows you to read texts outside of Curriculet eReader—in print, via audiobook or on another digital reader—and then log in to access curriculet checkpoints for that text. New texts: This release adds about 400 new books with curriculets from publishing partner Harper Collins. Curriculet’s external reader lets students access Curriculet’s curriculum to use alongside a print book or external digital or audio text. Native Language Support: This new feature adds native language support for Spanish-speaking students in SmartStart and Level 1 of Waterford Early Learning’s reading program. Students for whom native language support is enabled hear Waterford activities in English first, and then get repeat instruction in Spanish and English. Administrators can enable native language support in the Waterford Manager. SmartStart Teacher Materials: New SmartStart teacher materials are available in the Waterford Manager. Go to the SmartStart “Curriculum” tab and click on “Search.” Filter your program by “SmartStart PreK” and “Activity Type” to see new materials, including. An updated version of the Volume 1, Teacher Guide, including Units 1-3 (or the first 12 weeks) of classroom instruction—now, in a downloadable PDF format. New Import Template: There is a new student import template in the Waterford Manager. Be sure to use this most recent version when you add students for the new school year. New Student Profile Indicator: You can now add a student’s “Household Status” under their student profile. Options include foster, military, homeless and other designations. As always, please contact support if you have questions or need assistance! Waterford will release an automatic software update on June 21, 2017. See what’s in this release in the list below. If you have any questions, our Support Team is always happy to help! 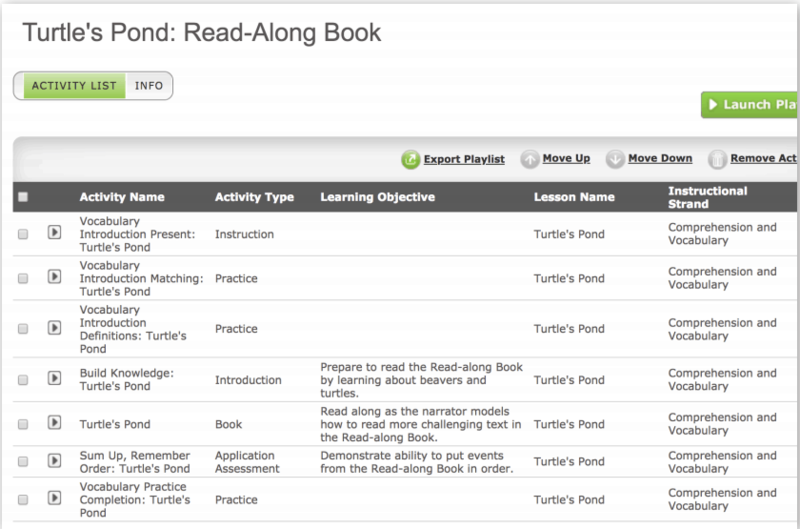 New Activities: This release includes 45 new reading activities for level three. These decoder activities teach students how to look at a written word and determine its spoken sound. Schools that meet the system requirements for WebGL will get these new activities. Schools with WebGL activities already enabled will receive these new activities automatically. Schools that meet the system requirements, but aren’t yet using new activities should ask their Waterford sales or services representative about enabling new activities. Schools that do not meet the system requirements for these new activities will automatically continue with the existing Waterford activities. Change to How to End Sessions: This update removes the ability for students to end sessions. Previously, if a student selected another student from the class whose session was already in progress, the student was presented an option to end the in-progress session. Teachers can go into the Waterford Manager to end a session if needed. Enhanced Clever Integration: This release makes several improvements to Waterford’s integration with Clever, including updating information that’s displayed in the dry run table and adding an administrator review for any changes that affect large numbers of users at once.